STS Technical Services is hiring Aircraft Quality Control Inspectors in Savannah, Georgia! Conduct work in a manner that enhances own/other employees health and safety, product safety and promotes risk reduction; participate openly in safety-related event investigations, and immediately report workplace hazards and make suggestions for control; cooperate and contribute toward the overall success of the Safety program at the local level. Provide on the job training for subordinate level inspectors. Coordinate inspection workload according to priorities, efficiency and cost effectiveness. Provide technical support to manufacturing, engineering and IPT personnel. Perform duties of MRB signature authority. 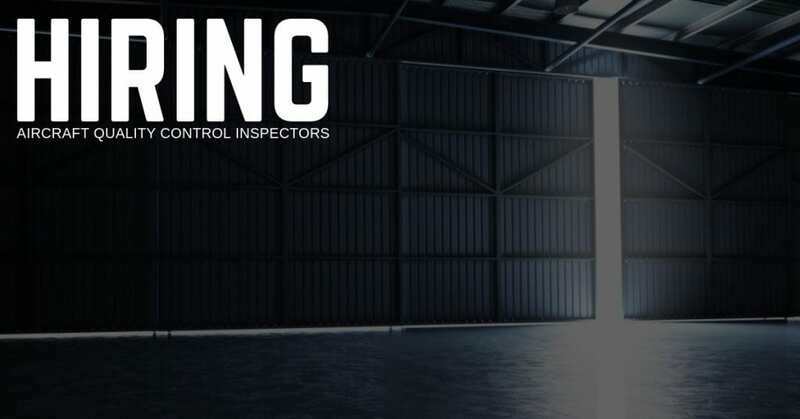 Perform area inspections to ensure compliance with applicable standards and specifications. High School degree or GED. Completion of formal inspection training program within 90 days of assignment. One (1) year quality inspection experience or two years GAC manufacturing experience. Two (2) years manufacturing experience or equivalent aerospace experience preferred. Competent in the use of basic shop tools and equipment.